Www-searches.net cannot be called a trustworthy search tool even though it looks like one because it comes as a component of a browser hijacker and thus is usually set as users’ homepage, default search engine, and New Tab URL on all browsers. It usually affects all browsers it finds installed on the computer, including Internet Explorer, Google Chrome, and Mozilla Firefox, so you will find it set sooner or later. If Www-searches.net has already become your default search engine, homepage, or a New Tab page, the first thing you should do is to uninstall Www-searches.net from all browsers as soon as possible. Never keep set search tools which show up on your browsers without your consent, and it does not matter that they look trustworthy at first glance. If you do not do what we say, security-related problems might emerge for you, and you will have to deal with them yourself. Since Www-searches.net is a part of a browser hijacker, users usually find it set on their browsers without their permission. Unfortunately, not all of them immediately realize that this search tool cannot be trusted. As a consequence, they do not hurry to implement the Www-searches.net removal. There is no doubt that it is quite dangerous to use this search tool. Its main problem is all these commercial advertisements it shows for users. In most cases, they are provided for them in the form of sponsored search results. Users, of course, do not know that these untrustworthy search results are shown for them, so they use Www-searches.net without fear. This might quickly result in the entrance of malicious software because these sponsored search results are known to be able to redirect users to untrustworthy pages promoting malicious software. We do not say that all these websites are bad, but the possibility to end up on them is really high if Www-searches.net is used. 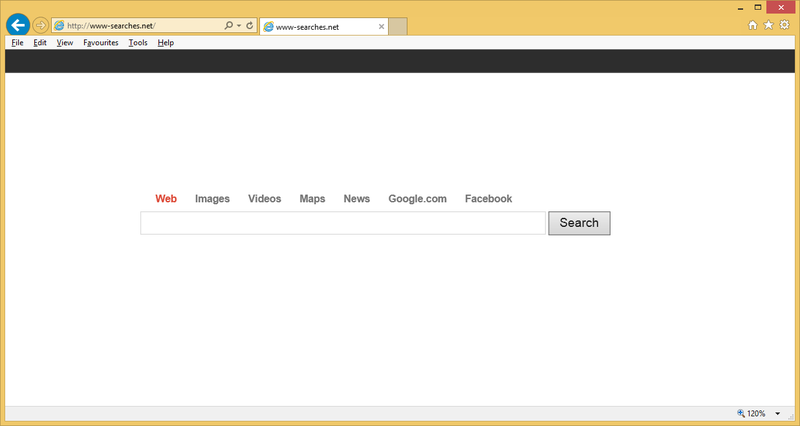 Because of this, it is recommended to delete Www-searches.net as soon as possible. Why Www-searches.net has been set on my browsers? As you already know, Www-searches.net is a search engine promoted by a browser hijacker, so you must have this browser hijacker inside your computer if your all browsers’ settings have been changed. Browser hijackers usually enter computers in software bundles, and since Www-searches.net is not the only browser hijacker available, you might encounter another similar threat in the future if you do not do anything to protect your computer from malware. How can I remove Www-searches.net? You can either go to delete Www-searches.net manually or automatically from your browsers. The first Www-searches.net removal method does not require an automatic malware remover, but it is, undoubtedly, a more complicated one, so specialists suggest going to remove Www-searches.net in an automatic way. Since a browser hijacker has entered your computer in a software bundle, there is a possibility that other infections have been installed on your computer too. Do not worry; a malware remover will first delete Www-searches.net and then will take care of those other infections too.